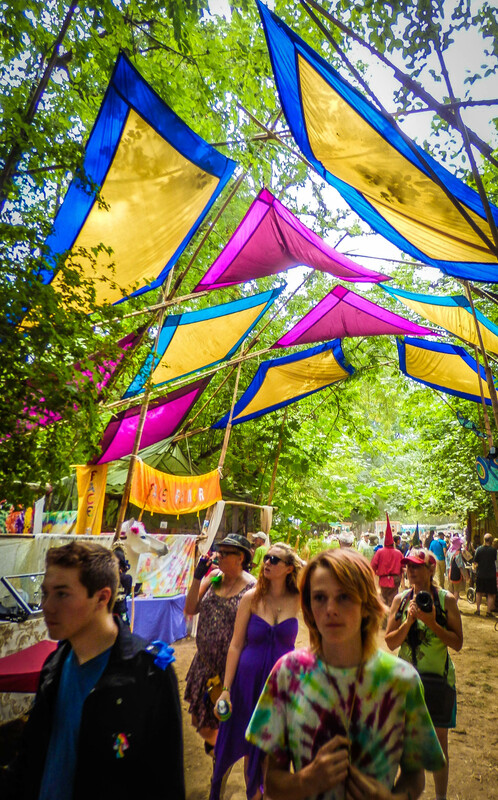 This past weekend held the annual Oregon Country Fair. 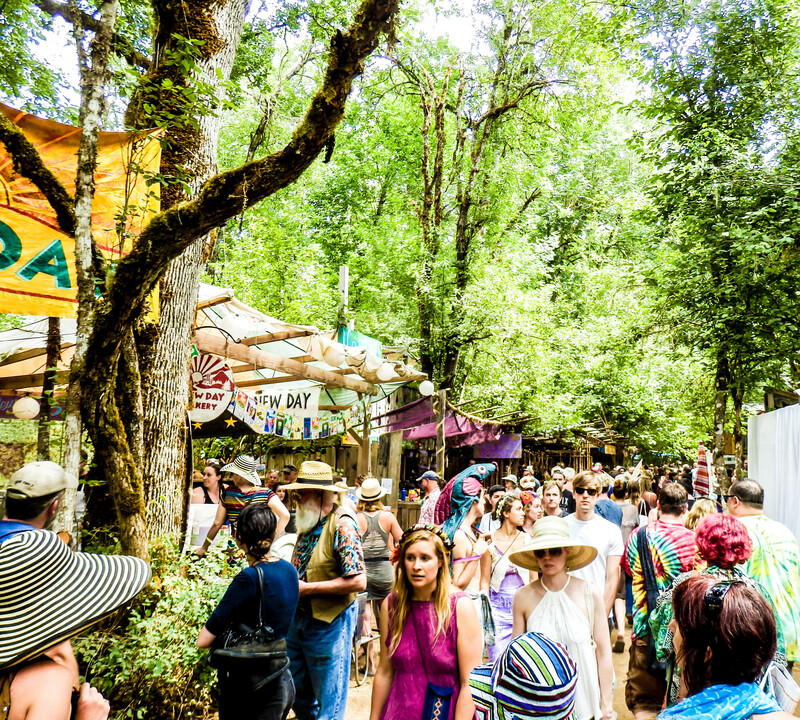 This event is everything from a fairyland tour to a testament to toplessness. The fair, in years past, had an annual showing of approximately 45,000 over its three-day showing. Of these, the majority come dressed as a number of mythical creatures such as fairies, gnomes and even Norse Gods. Many people come attired in various getups or with face or body paintings. The fair was originally held in 1969 with the slogan “come in costume”. One of its early claims to fame were the performances by The Grateful Dead in 1972 and ’82. Even today there are several well-known performers headlining, including Joanna Warren, Sean Ahern, and the particularly enjoyable flamenco-fusion of Priyo and Gypsy Moon. The “show” is an ensemble of 18 acts spread throughout the six-acre grounds. There are shops, entertainment of all varieties from music, to live theater, to vaudeville. There are also the people represented that make up their own genres of entertainment. Food and drink stalls are also available throughout the fair, including everything from Indian and Mexican to vegan fare. The event is alcohol and drug free (including the recently legalized Marijuana crop) and to conform with this policy visitors are given a bag search at the entrance. Even despite these countermeasures you may catch the occasional whiff of something dank and pleasant throughout your journey through. The event is family-friendly and there are a number of sites provided for children involving everything from a play garden to puppet shows and a child care center. Tickets need to be purchased for admission. Tickets this year, set us back 23/25 (advance/day of) dollars for Friday or Sunday or on Saturday for 25/29. A three-day ticket could also be bought for 59$. All tickets can be found at Ticketswest outlets, online at ticketswest.com or by phone at 1-800-992-8499. If you’re interested in camping out, there are a number of sites located close to the grounds, click here. There is also a free shuttle bus from the Eugene Station out to the OCF! If you weren’t lucky enough to make it this year, fear not! there is always next year so “come in costume” and have a great time!